“It helps if you are tall, with long arms,” laughs Archie Workman as he works his paintbrush to breathe new life into a roadside relic. The 60-something has scaled his ladder today to lovingly tend to a cast-iron signpost that announces arrival at Allithwaite, south Cumbria. Village signs like this one – which dates to 1840 – were common to the landscape of B-road Britain for more than a century. But many were removed during anti-invasion preparations for the Second World War, to confuse the enemy. In the 1960s they came under further attack by highways chiefs keen to replace them with lightweight modern models. Workman is on a mission to restore and rejuvenate the few iron antiques that do survive. Workman is a freelance lengthsman – a medieval term for someone who looks after a length of road, canal or railway. He offers rural repairs on a small scale. County councils got rid of lengthsmen in the 1960s but several parishes in south Cumbria have recently re-introduced them. Now five parish councils are utilising Workman’s services. Workman is one of an ever-shrinking number of traditional craftspeople providing olde worlde work in modern times. 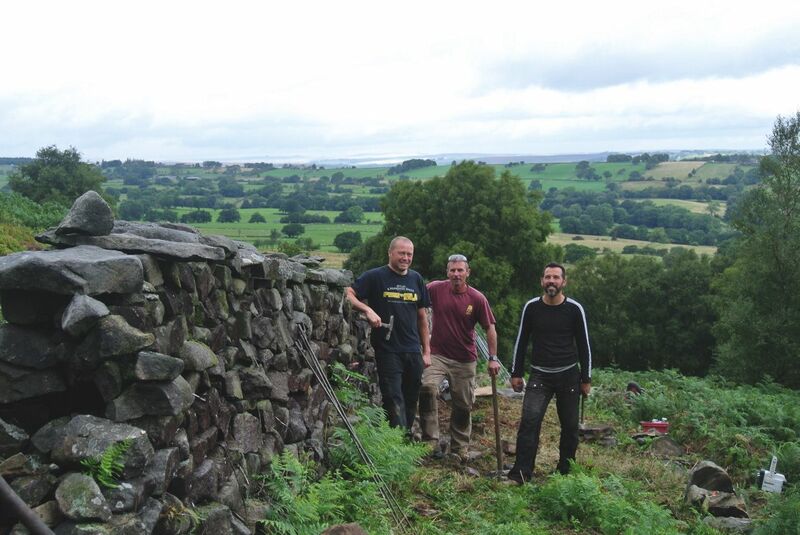 Over in the Yorkshire Dales John Hulbert is halfway up a steep embankment dry stone walling. An ex-scientist, he got sick of “meetings for meetings sake” and swapped nine-to-five for hands-on, outdoor work. 13 years and miles of walls ago. so high, the rest have had to be carried up the hill by hand. There is a great demand for dry stone walls and Hulbert believes it’s largely thanks to gardening programmes on TV, in which designers have recently gone wild for walls. The craft of walling stretches back at least three and a half millennia, to the village of Skara Brae in the Orkneys, and the Iron Age brochs of northern and western Scotland. Dry stone walls, named because as they are built without any mortar or cement, are the backbone of rural Britain. The three men battle bracken and midges as they work the wall and landowner Bill Taylor is impressed with their efforts. In May the Dry Stone Walling Association celebrated its 50th birthday with a competition in Kirkby Lonsdale. A farmer allowed his wall to be knocked down and then rebuilt by 50 of the very best stone supremos. Two competitors even jetted in from Japan. It was big news in Stone Specialist Magazine. Over in Burneside, near Kendal, a swiller – specialising in woven wooden products – preps long strips of oak which will eventually be added to a designer bench. 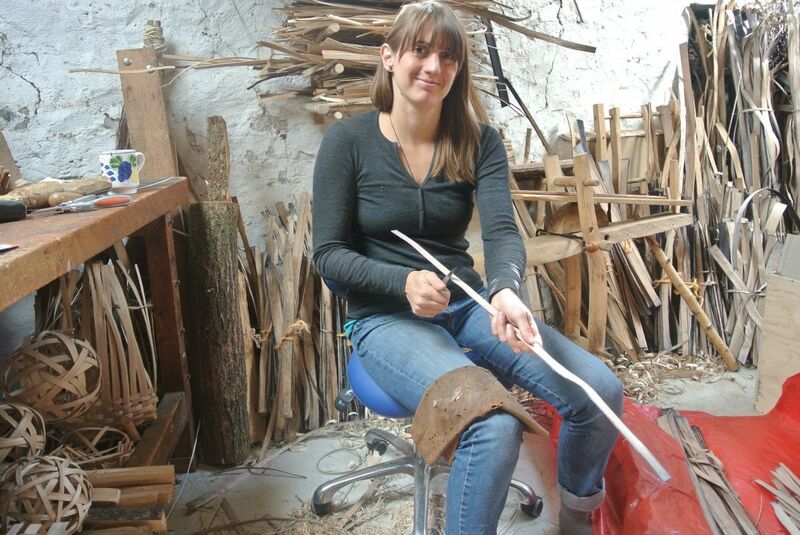 Lorna Singleton cuts and prepares wood by hand, managing and restoring coppice woodland in a responsible and renewable way, seeing the whole process from tree to finished product. Singleton’s baskets have a rich heritage. They are based on the traditional baskets from the Furness area of south Cumbria (old Lancashire). Their production cannot be mechanised and so are made using the simple hand tools and techniques used by generations of swillers. “I made my first swill in 2010 and was hooked. Since then I’ve put my heart and soul into making the baskets. It’s almost like my emotions are expressed in them. So how important are traditional crafts now most of our working days revolve around laptops and smartphones? Crafts are well-documented stress relievers. Britain’s most successful Winter Olympian, Lizzy Yarnold, famously knitted between skeleton races to keep her calm – a craft she had been taught by her granny. Are traditional crafts making a comeback? Singleton’s studio is in a former mill. She’s surrounded by carvings, tools of her trade and an array of wooden masterpieces. There’s a quote on the wall which seems to sum up the ethos of traditional tradesfolk like herself as well as lengthsman Archie Workman and dry stone waller John Hulbert. “In a society where most of what we have and sustains us from day to day comes from sources unknown, making a useful, beautiful object from a tree with simple hand tools is an inspiring act”.